Welcome to Hope From Beyond! We are a Christian-based group founded in April, 1999. Our foundation of teaching is focused upon the Gifts of the Holy Spirit as described by the Apostle Paul in 1st Corinthians, Chapters 12-14. God is the One who gives us these wonderful gifts in order to share and bless others in a positive helpful way. 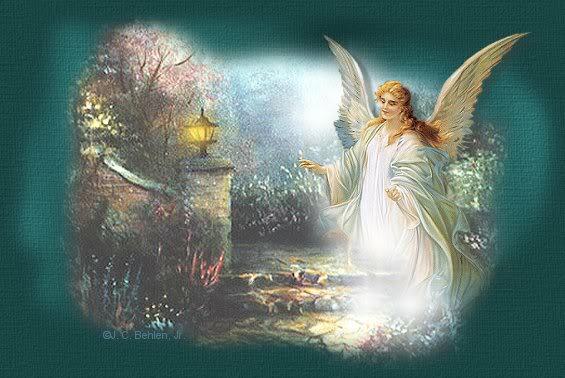 At Hope From Beyond we work with the Lord and His Holy Angels. We wish to help those who desire to learn how to develop their psychic abilities. It is also our endeavor to be an aid and support to those who are on a path of understanding the spiritual gifts. We offer a workshop atmosphere, teaching articles and Hope From Beyond Forum Group on Aimoo Forums. Interested members are welcome to practice sharing their psychic insight they receive to learn how to give readings for others. For those who are just starting out, curious about psychic abilities and how they all work, you are welcome to read the articles on our website. I wrote these articles with the thought to guide those with the highest and best way of being involved in psychic abilities and the wise ethical practice of them. If you are unsure about being psychic and/or whether to get involved in developing these abilities, I would suggest reading these articles before making your decision. Some questions you should be asking yourself are: What is it you are expecting out of being a skilled psychic? Are you wanting this for aiding others? Are you willing to accept the fact that in order to be an accurate psychic, you need to volunteer some of your effort without compensation in order to keep these Spiritual Gifts? It doesn't always go the way one would hope for when contacting the Spirit Realm. Once opened, it's hard to close a door when there is no physical "door" to close. This can be a lifelong commitment. I would not recommend beginning on a path if you are unsure about being a psychic. Being psychic is for the strong of mind, heart, and spirit.